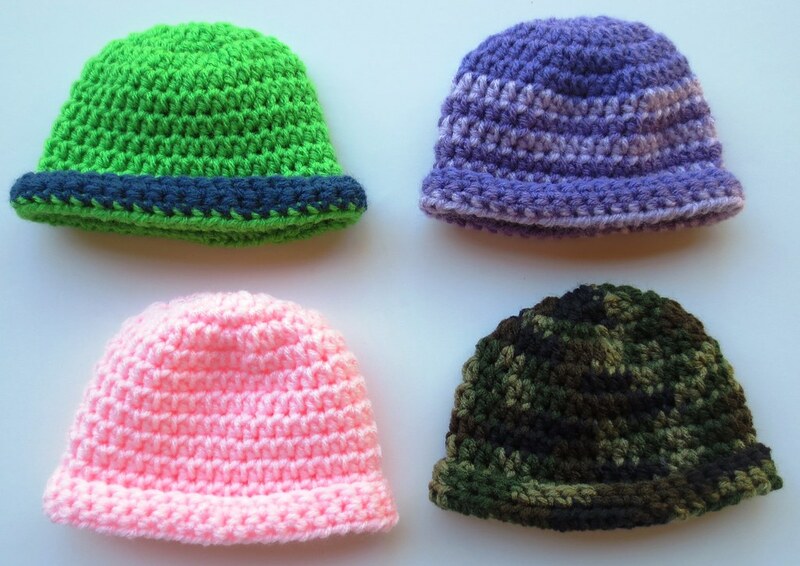 I have been crocheting baby hats for our local hospital nursery. 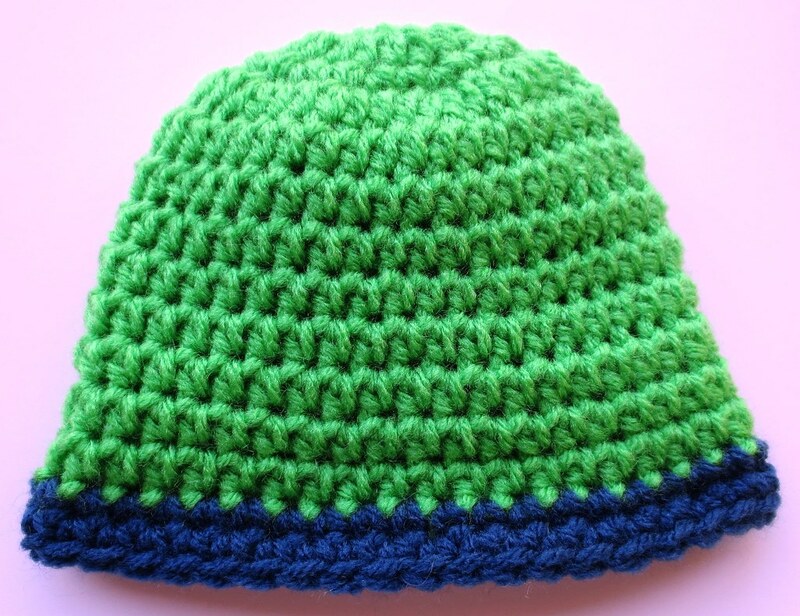 Here is a simple crochet baby hat pattern with a rolled brim. The rolled brim idea came up as I had crocheted some hats that were too big and we just turned up the brims to make them smaller and fit the baby’s better. Here is a photo of the hat not rolled. 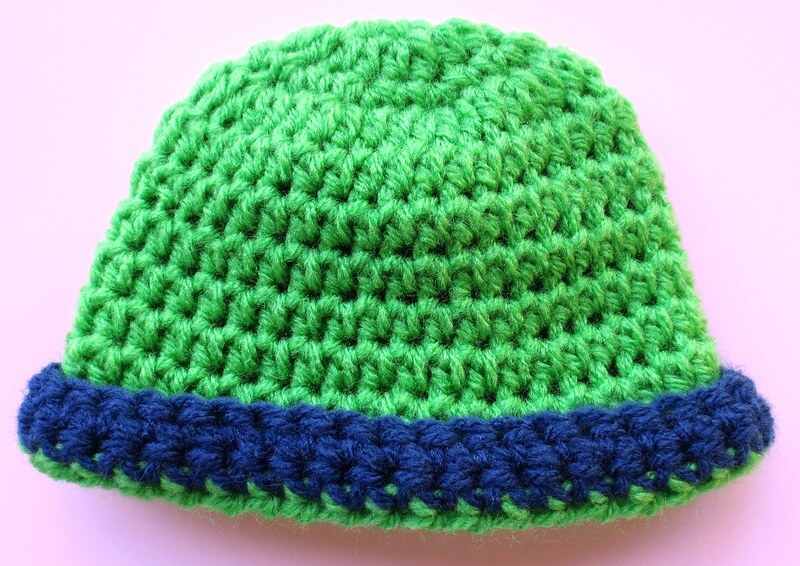 As the child grows you can just unroll the brim to make a longer hat so it can be worn longer by the child using this feature. 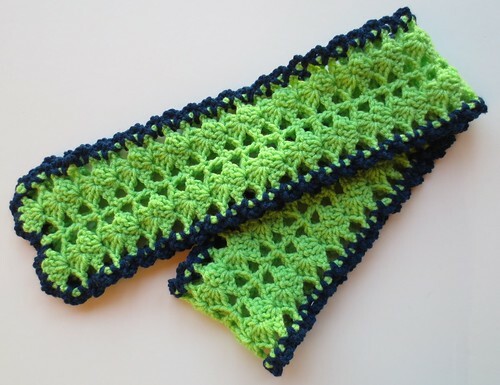 Here is my Seahawks inspired Red Heart heartwarming crochet scarf. I used Red Heart comfort yarn in melon green for the main body of the scarf and trimmed it using Red Heart navy. I followed the heartwarming crochet scarf pattern but did do a few extra rows so the scarf was a bit longer. My finished length is 60 inches long and the scarf is 5 inches wide. Mandala crocheted dishcloths are just so pretty. 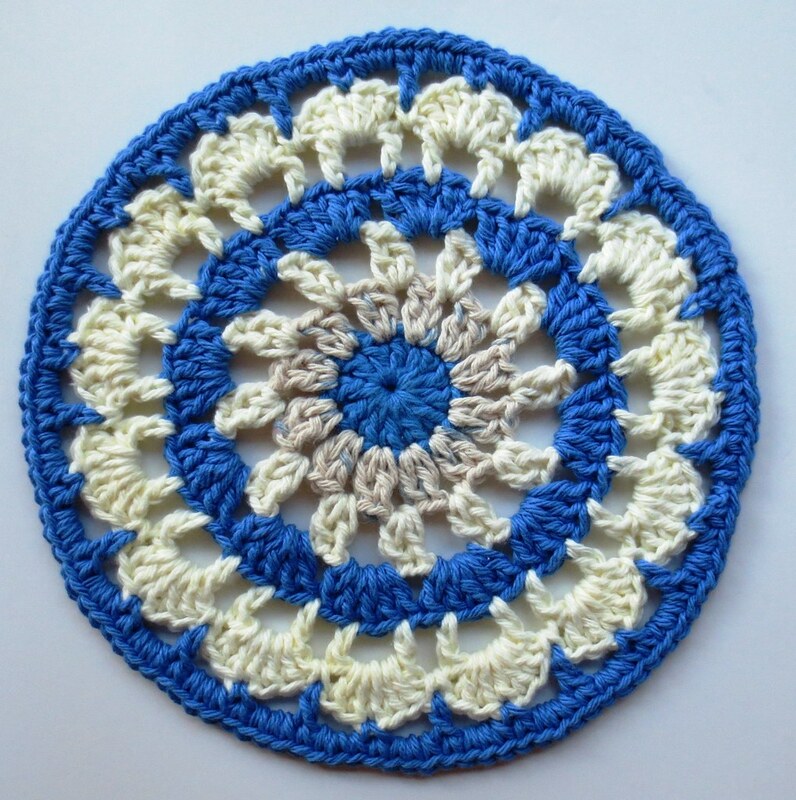 I love how you can use different scraps of yarn to create beautiful designs. 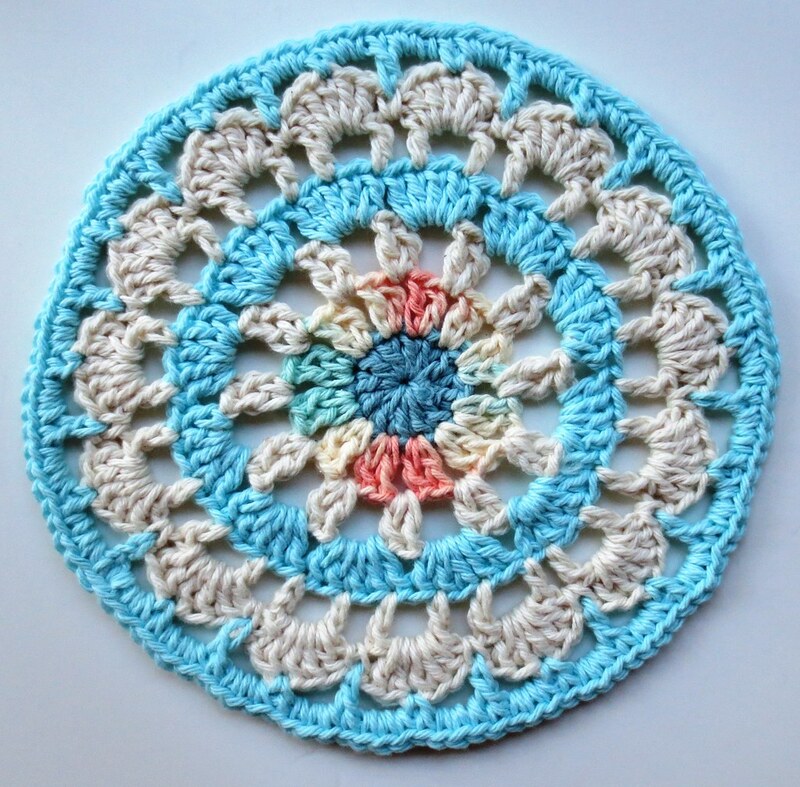 I have such a big bag of cotton scraps that I thought this would be the perfect idea to use some of it up. 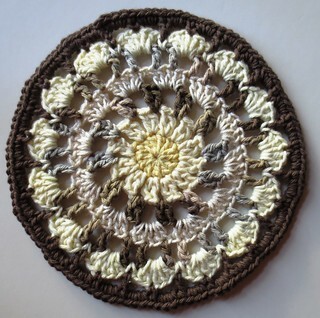 So… I found this easy Mandala pattern and tweaked it just a bit to crochet some dishcloths.